Kitchens are usually the soul of any home. Albiet the kitchen may not be the biggest room in our home, it supports us during every meal time, coffee break and is a hive of activity whilst entertaining. Probably due to its hight of traffic and high heats, kitchens must be close to one of the most redesigned spaces in a home. Even if the layout never changes, swapping out cabinetry doors, handles, bench tops and hardware is a sure way to make a quick and cost effective impact. Here is a quick overview of kitchen trends for the 2018 / 2019 season to get you thinking about the next facelift for your existing kitchen or perhaps the blue print for your new kitchen. Colour Crush : Gone are the days where a white kitchen is considered classic. Moving forward, we are seeing a strong introduction of dark / warm colours like moss, burgundy and mustard. These colours are adding depth and interest to an otherwise tonal collection of natural materials like timber, stones and metals. Accent wall colour, timber details and simple lines. Two tone : A sure way to bring a space to life is to change up the tone. Applying tonal variations across the spectrum with the use of mixed media material and colour can change the mood, play up on spatial issues and inject instant character and personal style to your space. 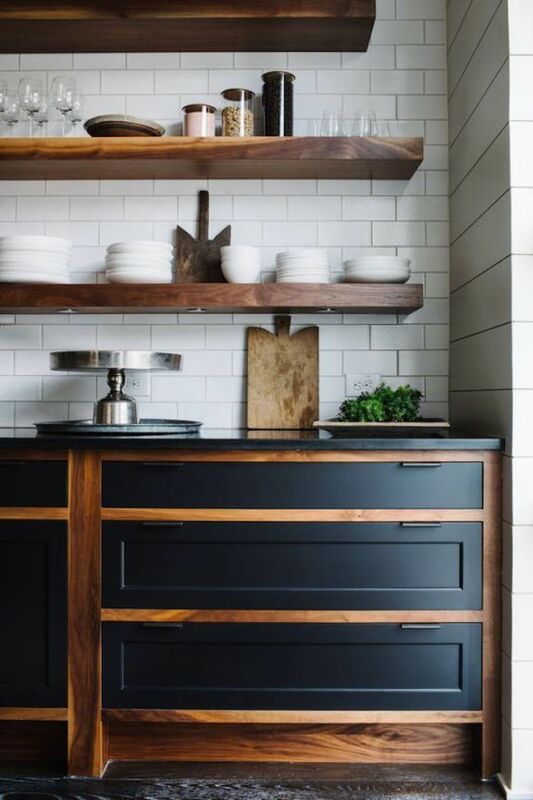 Modern with a old charming twist: clean lines and practical design will always be at the top of the kitchen requirement checklist, however this trend gives us permission to mix the old and the new as much as your heart desires. Sleek and modern style kitchen with a splash of rustic industrial introducing the trestle legs. Transitional: Any space in the home that can double as something else is always an advantage. Especially as your lifestyle evolves, an eat in kitchen that that doubles as a work space / home work station can also accommodate a dinner party of friends and family without having to be tucked away in the kitchen on your own. Nature's got the goods; referencing slabs of natural naterials in your kitchen benchtops, splash backs, cabinetry and accent details is where it is at. 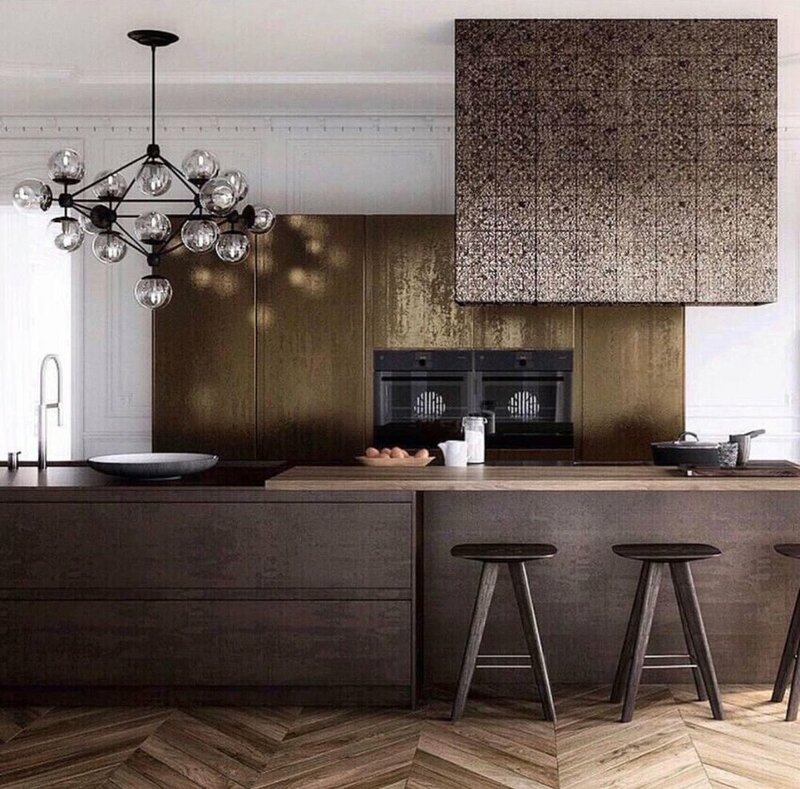 Metals, marbles, timbers and leathers are making the statment in kitchens this season. They can be expensive, but when cared for properly will stand the test of time for durability and best of all will age with stunning character. TImber and tonal details with a splash of colour. 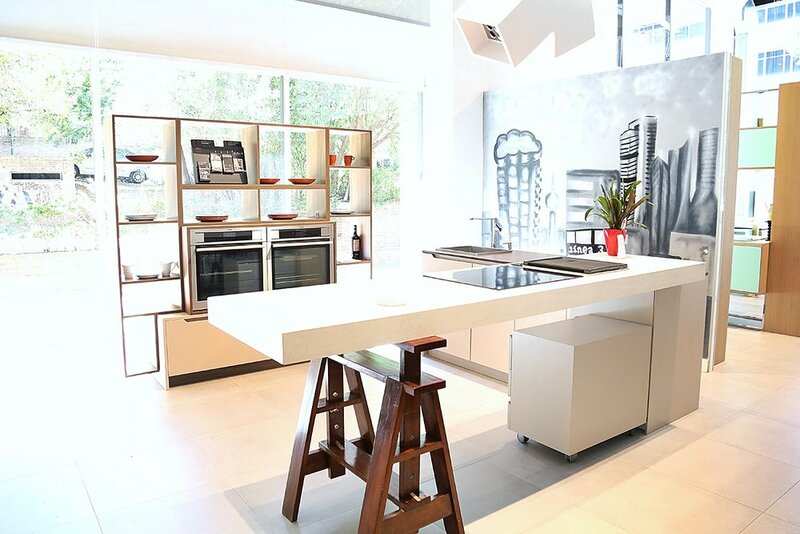 So, make this the year you get the dream kitchen you have imagined! If you feel like you'd benefit from more specific guidance, we'd love to help you out! Get in touch with us and we can book you in for a design consultation. All images have been sourced from Google and we credit their owners via embedded hyperlinks directly back to them. Header image link is referenced in the source link below.